Can Malema hold office after sequestration? Bowman Gilfillan Insolvency Director Adam Harris tells The Money Show’s Bruce Whitfield what it means to be provisionally sequestrated and whether Julius Malema will be allowed to hold a seat in Parliament. Africa's top bullion producer is selling the entity for $110 million to private mining group QKR. The National Taxi Alliance says it is under extreme pressure to hike prices. About 2,500 jobs will be affected when the plant stops building cars in 2017, the company said. 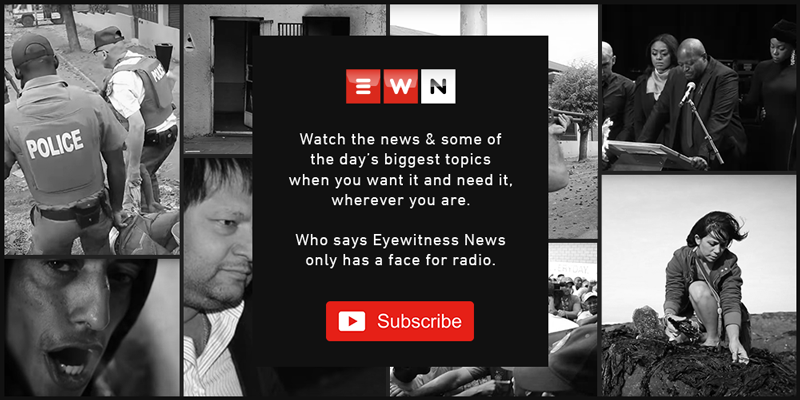 Catch up on the day's news with the EWN video bulletin with Jacob Moshokoa. But the Book Development Council says the publishing sector is not guilty of profiteering. Flappy Bird has become one of the most downloaded mobile games. Personal details of 27,000 customers had been stolen and sold, raising the prospect of new fines for the bank. The falling rand has been a windfall for mines while saddling others with higher costs. Should elections be a public holiday? Economist Dawie Roodt tells The Money Show’s Bruce Whitfield why the 2014 elections could hurt the economy if made a public holiday. Vestact MD Paul Theron takes The Money Show’s Bruce Whitfield through this week’s funniest business blunders. The rand and Turkish lira both reversed early losses to trade slightly higher against the dollar. Catch up on the day's latest news with the EWN Video Bulletin with Jacob Moshokoa. Google acquired 618.3 million Lenovo shares at $1.213 per share on 30 January. Unionists marched on the Mining Indaba protesting the ill treatment of Rio Tinto workers. As British Airways launched its new A380 aircraft routes to South Africa on Thursday, EWN's Mashudu Masutha finds out from industry experts what impact this will have on South African air travel. ‘Cape Times’ shipping columnist Brian Ingpen chats to Talk Radio 702/567 CapeTalk’s Bruce Whitfield about the problem. MiningMX Editor David McKay tells The Money Show why he thinks the conference is still relevant. Should I fix my interest rate? The Money Show’s Bruce Whitfield takes calls and chats to Galileo Capital Financial Advisor Warren Ingram and WesBank CEO Chris de Kock about fixed interest rates. Are disasters a normal part of mining? Head of Mining at the Hogan Lovells law firm Warren Beech chats to The Money Show’s Bruce Whitfield about mining tragedies. The micro-blogging site’s shares fell almost 25 percent, wiping out about $9.8b in market value.